If you’re looking for durable patio lounge chairs to set up an outdoor seating area, check out what’s in stock at Freedom Outdoor Furniture. 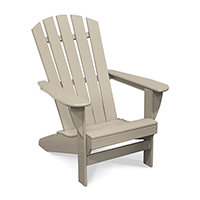 Our collection of lounge chairs is crafted to give your home or business patio, porch or yard a rustic look. Whether you want a single chair to call your own, a settee to share with that special someone or a group of matching chairs for your business, you’ll find a style suited to your tastes. One of the great benefits of our commercial-grade chaise lounge chairs, for example, is the ability to place them in a business environment as well as a more residential setting, doubling as perfect backyard lounge furniture chairs. For the days when you simply want to relax by the pool, our poly outdoor chaise lounges come in attractive designs and 9 different colors, including black, brown, coffee, gray, green, redwood, sand, weathered wood and white. On top of their beautiful aesthetic, the composition of recycled milk jugs and other plastic ensures that these chairs are completely weather-proof and built to last for decades. Plastic pool lounge chairs can be used by the pool or set in the shallows without damage. Use the multiple reclining positions to choose the most relaxing position for you.